Sun exposure is extremely important for a child's growth as it stimulates the synthesis of vitamin D responsible for the development of the bones. 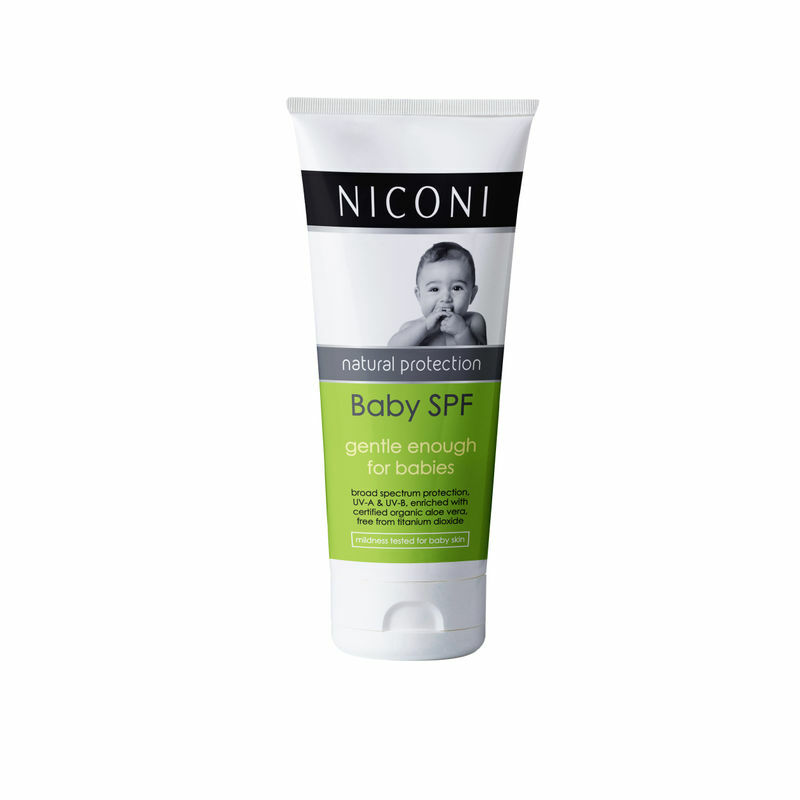 However, babies' skin is delicate and thin so it is vital to always protect it sunscreens. Niconi Baby SPF is specially designed to protect the delicate skin of babies and children from sun. This sunscreen nourishes their skin and protects it from UVA, UVB and IR rays with the photo-protective advanced 3P complex. Its light-texture makes it practical and suitable for every occasion. Enriched with certified organic aloe vera, this cream is free from titanium dioxide.